Google has unveiled its latest version of Android, an iterative update to Jelly Bean known as Android 4.3 - and phone manufacturers are eying it with interest. We already know the new Nexus 7 will be the first device to actually ship with Android 4.3, while the Neuxs 4, old Nexus 7, Samsung Galaxy Nexus and Nexus 10 should be receiving the update from July 24, with the Google Edition Samsung Galaxy S4 and Google Edition HTC One next in line. Unfortunately, HTC couldn't tell if or when Android 4.3 would come to the HTC range, nor which handsets would be in line for the update, despite Google itself confirming that the Google Edition HTC One would be getting the update "soon". But HTC's senior global online communications manager Jeff Gordon told us, "We're reviewing Android 4.3 to see how this update fits into our plans." The company hopes to have more info for us soon - and we hope that info will be, "Yeah, sure, we'll be bringing Android 4.3 to the whole line-up... tomorrow!" Samsung is sadly being more direct on a timescale, and it's not good news. It told "Samsung will confirm upgrade plans to Android 4.3 to selected Galaxy devices in the coming months". This means that it could be 2014 until we start seeing Samsung Galaxy S4 Android 4.3 updates...we just can't wait for the reams of stories about the rumours of this update coming. 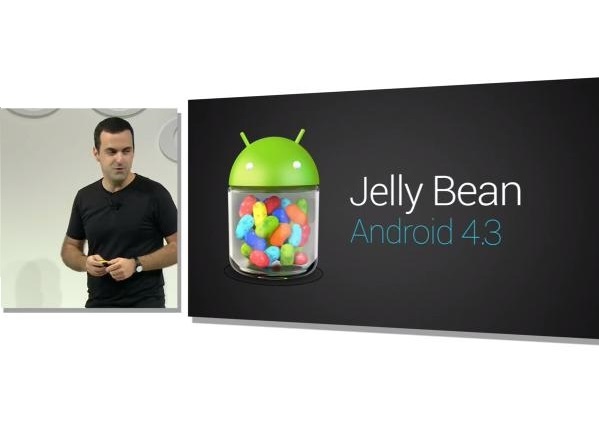 Sony has been far more clear with its early Android 4.3 plans releasing the following statement: "Yesterday you probably saw Google announce the next version of Jelly Bean (Android 4.3). "We're already getting stuck in and can confirm we'll make 4.3 available for: Xperia Z, Xperia ZL, Xperia ZR, Xperia Tablet Z, Xperia SP and Xperia Z Ultra." Update: LG is not giving too much away at the moment. LG is keen to ensure that its handsets run on the latest software, but at this time cannot confirm which handsets will support Android 4.3."